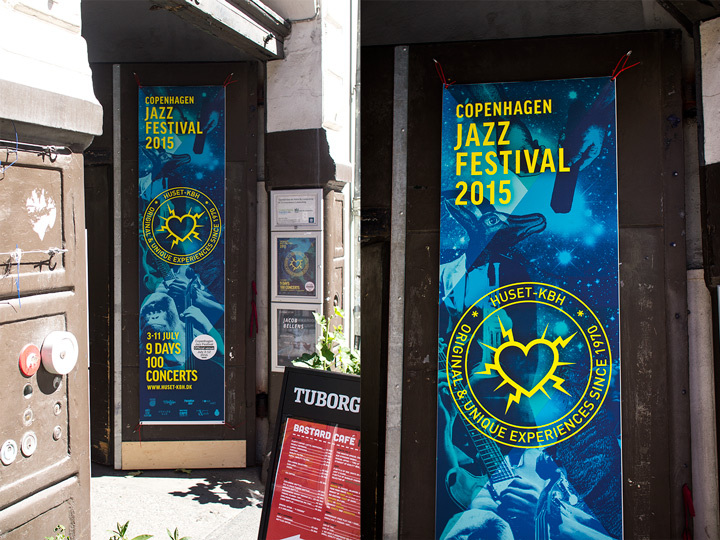 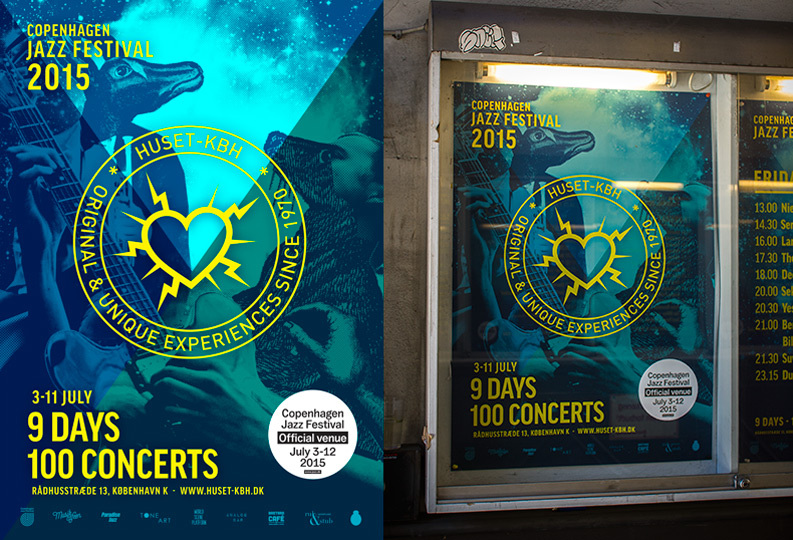 I made the visual identity for the venue Huset-KBH for the jazz festival 2015. 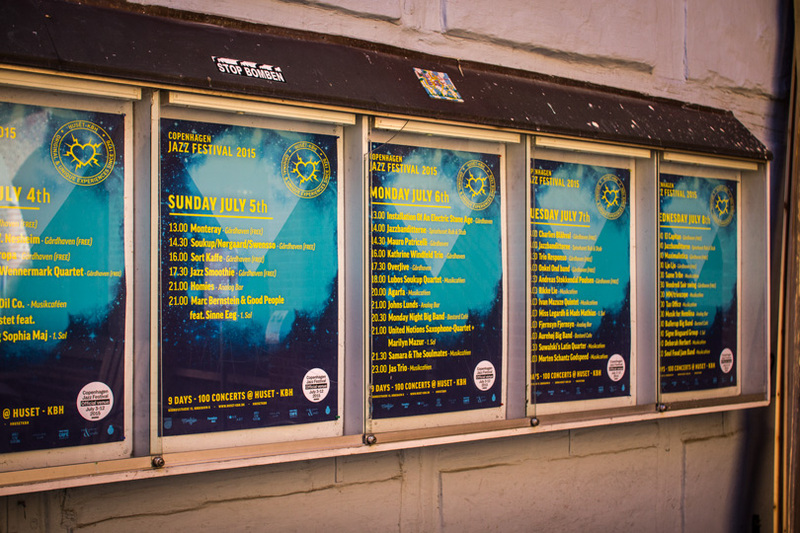 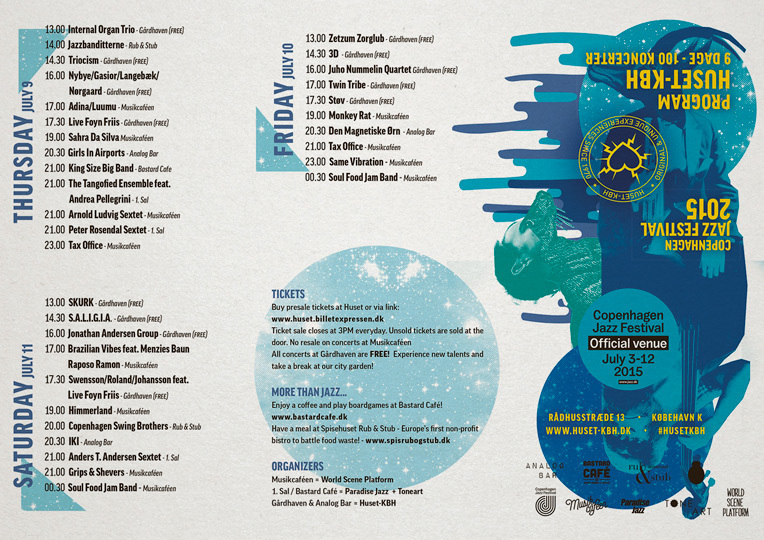 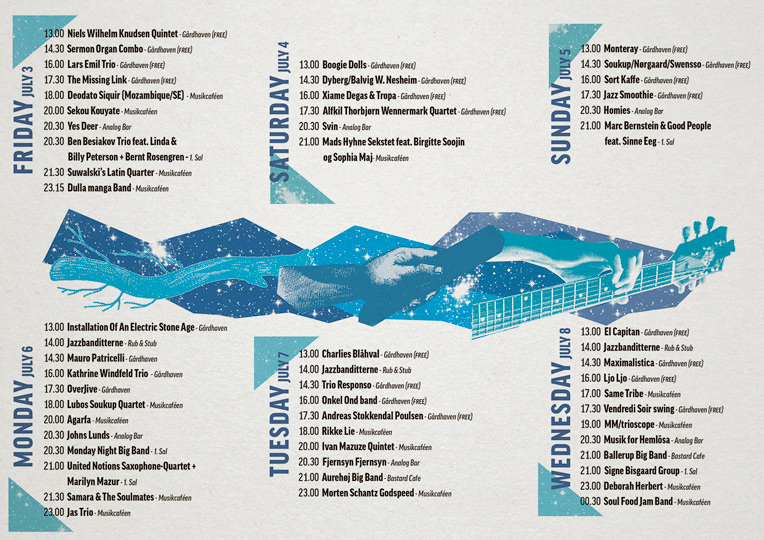 Huset has 5 different stages during Copenhagen Jazz Festival and arranges about 100 shows in 9 days. 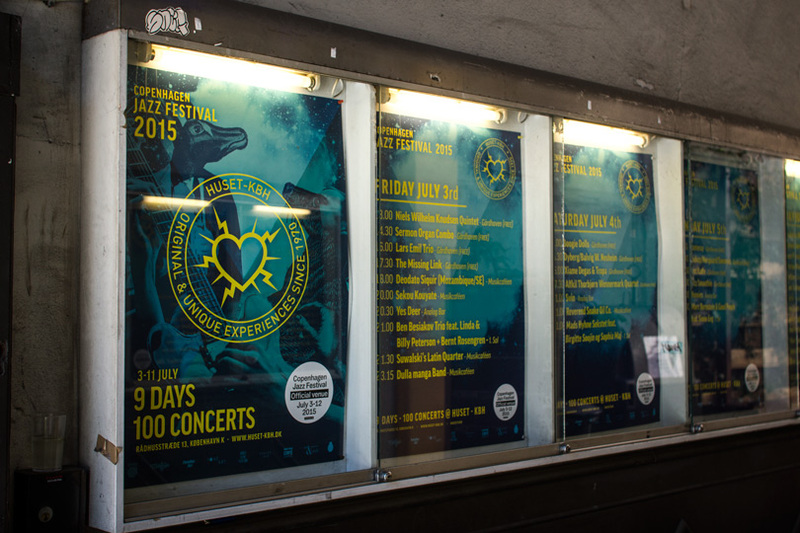 Therefore they make their own sub festival with posters and program.